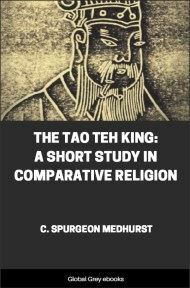 THE Yin Chih Wen is a religio-ethical tract, which, in spite of its popularity all over the Middle Kingdom, has not as yet, so far as we know, been translated into any Western language. Next to the Kan-Ying P'ien it is read and studied and taught both in schools and at the home, and there is probably no family in China without it; but its contents are very little known in the. 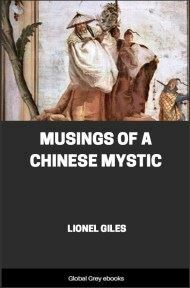 Western world, and we have only once met with references to it by Professor Douglas in his Confucianism and Taouism under the title of "Book of Secret Blessings." 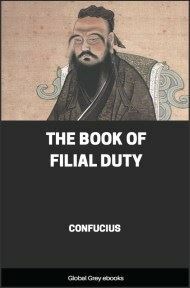 It is difficult to translate the title of the book. 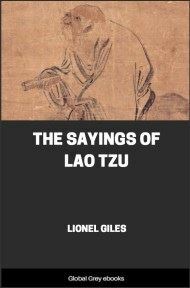 All we can say is that the rendering by Douglas, "Book of Secret Blessings," does not recommend itself; but the truth is that a-n exact translation which would be as terse and as expressive as is the Chinese, appears to be all but impossible. We have long been in doubt as to what English words would best express the term Yin Chih, and we have seriously considered the following three possibilities: "secret virtue," "heaven's quiet dispensation," and "mysterious workings." None of these versions would be incorrect, but they do not sufficiently express the full meaning of the term. The first and second express two meanings which ought to be combined into one such as is the third, in order to serve as an equivalent of this peculiar expression; and we have finally decided to render our title The Tract of the Quiet Way, which, however, though it is sufficiently broad and brief, is not intelligible without further explanation. If we had to translate these lines into Chinese, we might render the words "a mysterious way" very appropriately by yin chih. It is an old maxim of the traditional wisdom of China which is most emphatically insisted upon by Lao Tze and all the sages of his school, that these quiet ways of Heaven should be imitated by man. As Heaven lets its sun shine upon good and evil, without discrimination and also without expecting reward or advantages; so man should do good to his fellows, perform acts of rectitude, of justice, and of mercy, show benevolence and kindness toward all in an impartial spirit without cherishing ulterior motives, without hope of reward, and without desire for praise. The man who thus imitates "Heaven's quiet way" in unostentatiously realizing the ideal of heavenly goodness is truly virtuous, and so yin chih has also come to denote a condition which may be characterized as, and translated by, "secret virtue," reminding us of Christ's injunction not to let our right hand know what the left hand is doing (Matt. vi. 1-4). Rough-hew them how we will." "In the 'Great Plan,' a chapter of the Shuh King, we read: 'wei tien yin chih hsia min.' [Only | Heaven | mysteriously | rules | below | the people] and a gloss explains the word chih by ting, 'to determine.'" The quoted passage means that "Heaven alone, in a quiet or mysteriously unnoticeable way, directs the affairs of mankind living below on earth." "The human soul is most intelligent and its essential nature is intrinsically good. All our moral relations and daily actions have their reasons why they should be so. When Heaven above created these beings it mysteriously endowed them with something to guide (ting) them, and this something appears when the people practise goodness. Indeed it is the guiding (ting) principle of creation that good men never lose an opportunity to do what is good. If you really practise it (i. e., the good) in your heart it is not necessary that others should know of it, for there is something in the unseen which fully regulates and determines (ting) your affairs. Those who deny this fact commit a secret (yin) sin (o) and their retribution will be speedy. Therefore this book is called Yin Chih."